Born in the highly popular Kapoor Family of Actors, Rishi Kapoor is one of the most famous actors of Bollywood. Most of the time, the actor appeared in multi starrer movies, as compared to solo acting. His on-screen chemistry with his co-stars fascinated audience so much that people began calling him the Prince of Romance. Below is Rishi Kapoor Movies List, consisting of all his hits ever since the start of his career. Rishi Kapoor 1st appeared on silver screen in Shree 420, in the year 1955. He was seen as a cute young boy in the song Pyaar Hua Ikraar Hua. After that, he played a child in his father Raj Kapoor's movie Mera Naam Joker. He even won the National Film Award for this debut. Rishi Kapoor's 1st movie as a lead actor was Bobby, opposite Dimple Kapadia. And for this movie, he won Filmfare Best Actor Award. Since 1973, Rishi Kapoor Movies have been a treat for his fans. He has appeared as the lead romantic hero in 92 movies until 1998. Some of the super hits of Rishi Kapoor include Karz, Nagina, Bol Radha Bol, Deewana and many more. Post that, from the 2000s, the actor switched to Supporting roles like in Yeh Hai Jalwa, Namaste London, Hum Tum, Love Aaj Kal, Patiala House and more. Even before the 2000s, most of his movies were multi starrer, where his performance was generally overshadowed by other co-actors. 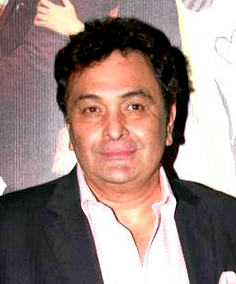 Nevertheless, Rishi Kapoor is known as one of the most successful and popular actors of Bollywood. BOTY has created Rishi Kapoor Movies List, where you will find some of his all-time hits. To recall his golden days, pick any movie and enjoy it over the coming weekend.